For the man devoid of an ounce of compassion, an ounce of lead was a fitting end. Moammar Gaddafi, 'The Desert Lion,' is gone, dispatched by a bullet to the head. According to eye witnesses, he begged for his life. But his pleas for mercy, like those of his countless victims, fell on deaf ears... and justice was quick. Some feel it was too quick, that the man was denied due process. Yes, he was a monster, obviously guilty of crimes against humanity, and yes, likely would have met his end at the hands of an executioner. But, like all men, they argue, he deserved his day in court. They believe that the Libyan rebels, in denying Gaddafi this fundamental right, are guilty of a misstep on the road to democracy... not a good start. They're right, of course. Denying someone, anyone, a fair trial, the right to face their accusers, is not something we do in a free and democratic society. There's little doubt in the minds of most, based on the video evidence, that Gaddafi was executed... a war crime under international law. So now what? Where do we go from here? Should there be an investigation, a full-blown inquiry? Well, the widow Gaddafi wants one, as does the United Nations human rights office, and, of course, Amnesty International is demanding a probe. If the culprit were identified, would he face prosecution? And if so, where would the trial take place? 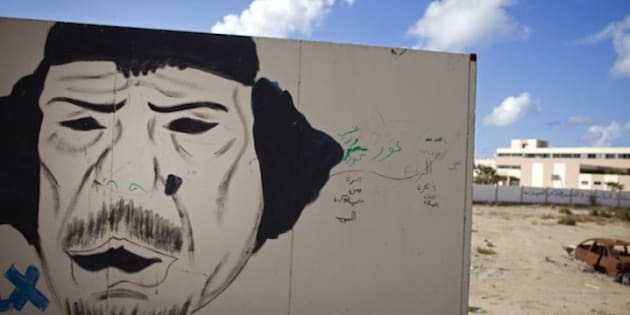 It's highly unlikely the Libyans would turn him over to an International court, and the outcome of a trial in Libya would be easily predictable... who would want to punish the man who pulled the trigger on the beast, Gaddafi! While it may not sit well with many, maybe on this one we park our principles and turn a blind eye... considering the pain and suffering Gaddafi inflicted. You might not like the way he went out, but I'm sure you'll agree that the world's a much better place without him. Paul and Carol Mott can be heard discussing the issues weekdays from 11 a.m. until noon streamed through their website. Catch a podcast 24/7! Download the Motts App for your Blackberry and listen anytime!